3D Custom Jewel is one of the leading providers of 3D CAD jewelry design based on your ideas, photos, or drawings. 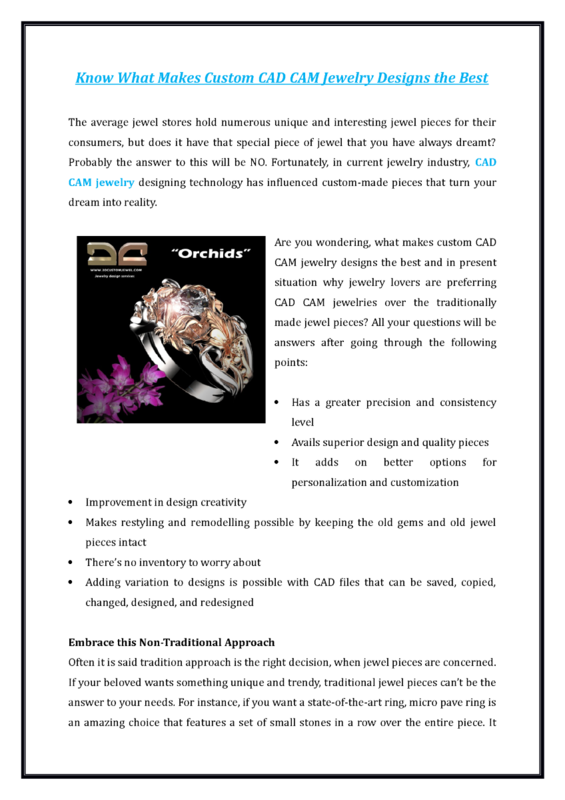 We offer a high quality 3D jewelry design using CAD technology for businesses and individuals. No matter what kind of jewelry designs needs you have we can create the most accurate 3D designs using the latest CAD tools and technology. We offer 3D jewelry deign at the most affordable prices. What Do You Know About 3D CAD Jewelry Design?